It’s been less than a year since Mad Catz shut its doors, but today to the story of the gaming peripheral maker got a lot more interesting. 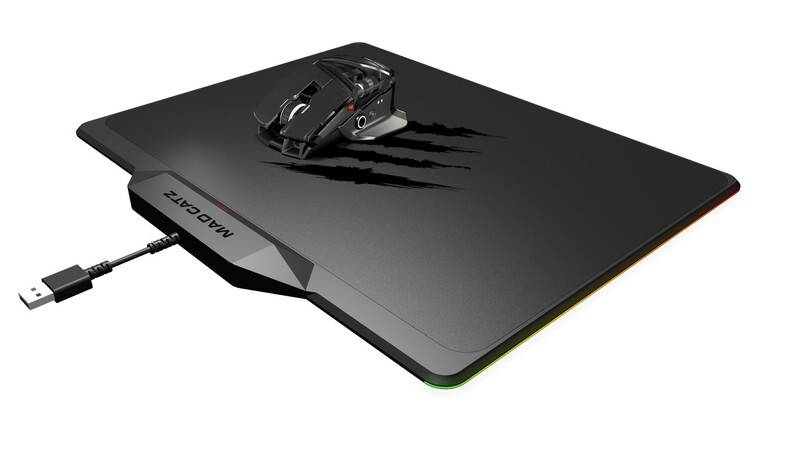 Mad Catz has returned, with a line up of new gaming accessories primed and ready for the show floor at CES. The company will now be known as Mad Catz Global Limited and will be headquartered in Kowloon, Hong Kong. The products announced by Mad Catz today include a new mouse and mousepad combo, a mechanical gaming keyboard, and a headset. The company seems to be reviving old product lines now that it’s back in business, with the new mouse being the latest in the RAT series. Known as the RAT AIR, this mouse uses its accompanying RAT PAD as a wireless power mat. The RAT AIR can be used wirelessly with the pad, drawing power from the USB mat as you play. This, importantly, removes the need for batteries, which can add extra weight where you may not want it. The RAT AIR can be used without the pad, thanks to a removable USB cable that can turn it into a wired mouse. For now, details on these new products are fairly slim, but Mad Catz says more information will be “announced shortly.” We can probably expect that happen at CES, where Mad Catz will have these new devices on hand. Beyond that, the freshly-revived company says that it will have more products to announce in the months to come. Perhaps a new fight stick is on the way? Time will tell.